The Enaag-dawaab-jig Committee is being established to improve police accountability, promote higher standards of police services, and increase public confidence in the UCCM Anishnaabe Police Service and the UCCM Police Service Commission. 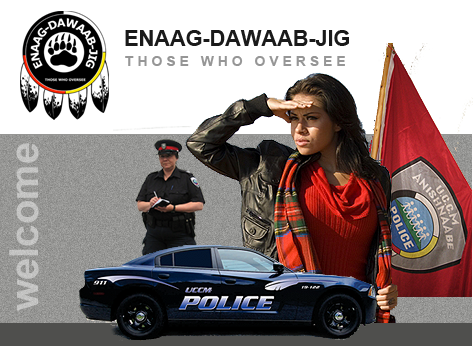 Create working groups to gather community concerns and to make recommendations to the Police Commission on programs and services provided by the UCCM Anishnaabe Police Service. To act as a civilian appeal body in relation to public complaints investigated by the Chief of Police of the UCCM Anishnaabe Police Service.